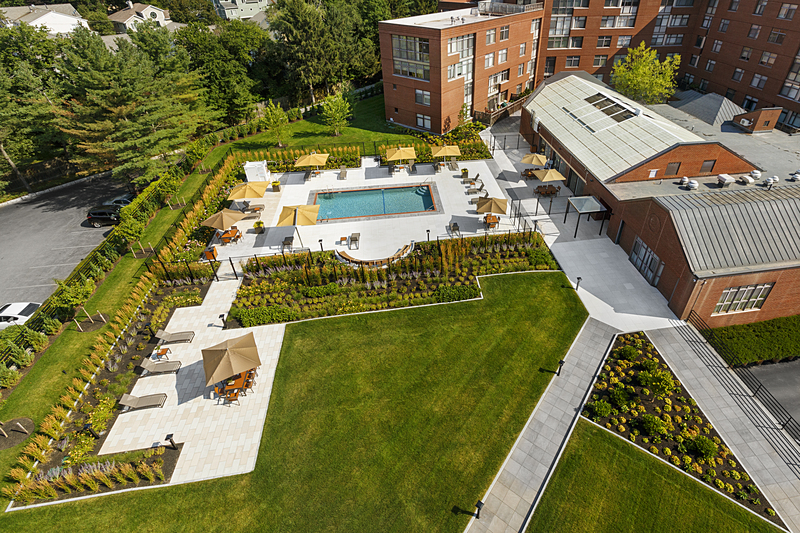 Warner Larson worked with Barkan Companies Management and CBI Architects for a complete renovation of a large garage rooftop pool plaza for a private condominium located in Chestnut Hill, MA. 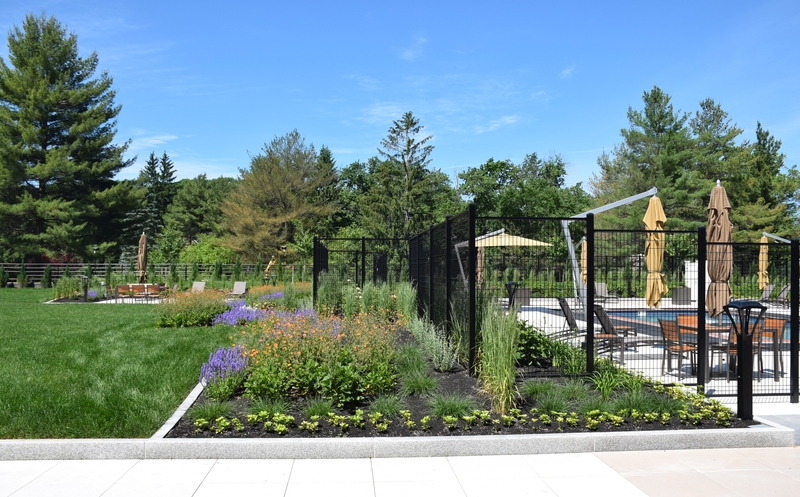 The existing pool had drainage issues and the landscape installed in the 70’s was outdated. 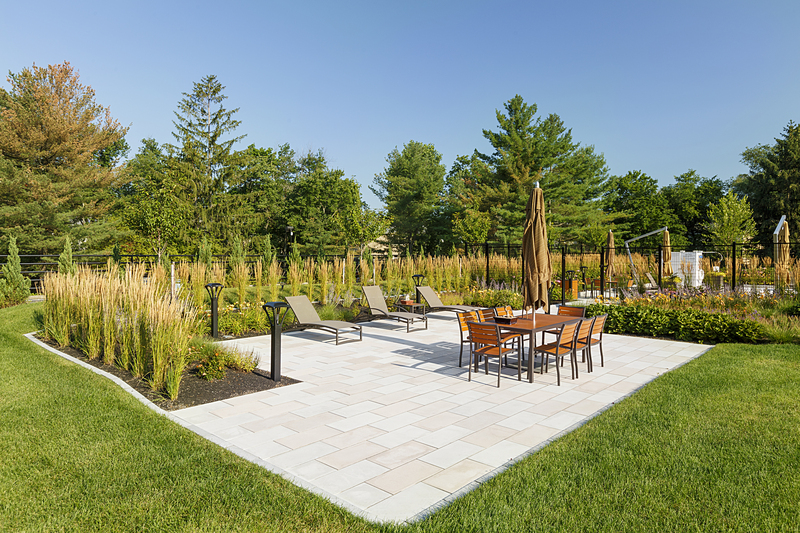 The goal was to create multiple entertaining spaces around the pool amidst a lush landscape for sunbathing, relaxation, social gatherings and hosting events over the barbeque. 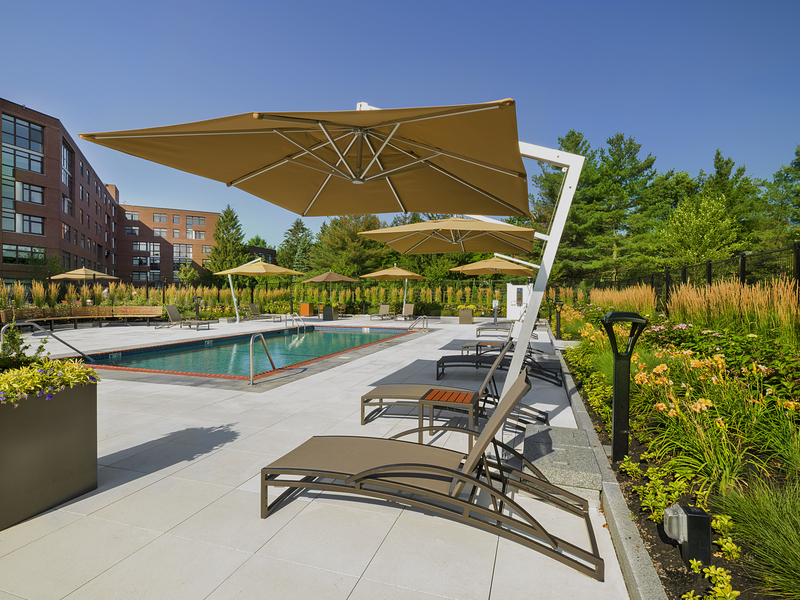 Warner Larson designed a contemporary space around the renovated pool with clean lines, heat reflective textured concrete tiles and a layered landscape complementing the warm new site furnishings. 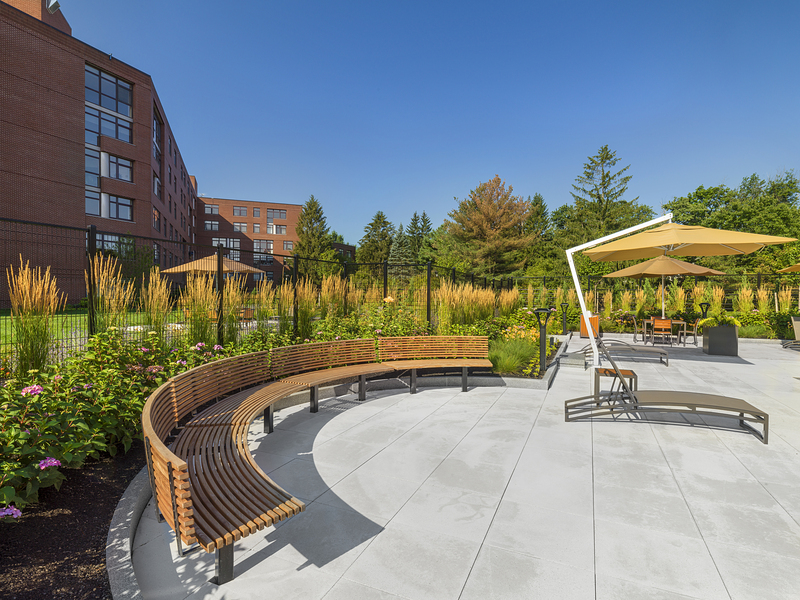 The site furnishings provide a multitude of seating options including a long curved wood bench provide a welcoming spot to the elderly residents The tall and short grasses arranged in linear pattern offer seasonal interest and help define the spaces by accentuating the clean lines. 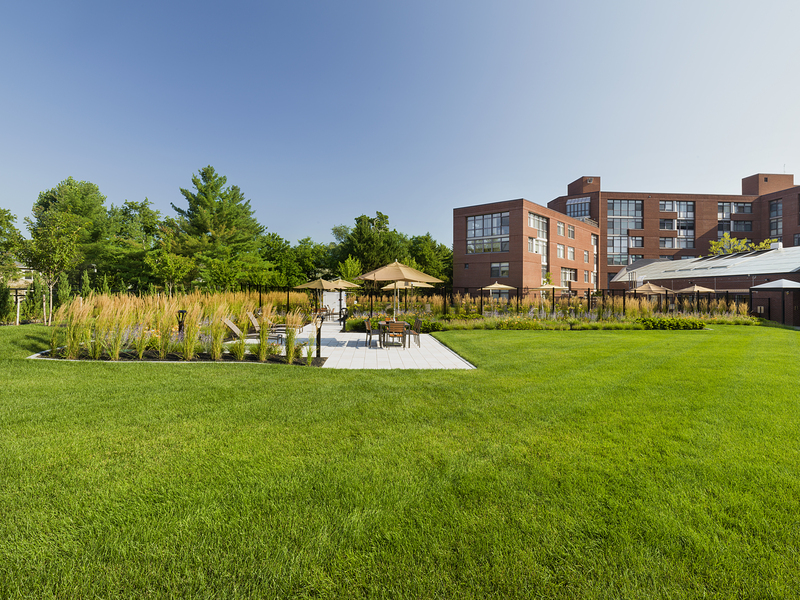 The residents of the condo association wanted a colorful palette so the grasses are augmented by flowering shrubs like roses and hydrangeas along with long blooming perennials. 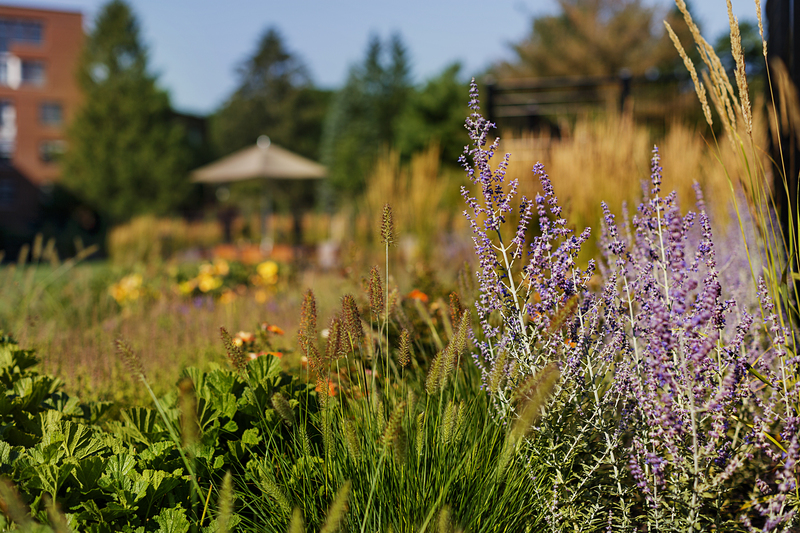 The color-coordinated palette of peach and violet flowers are also arranged in linear alternating layers like the grasses providing a rich tapestry view from the windows above besides being an overall harmonious design. 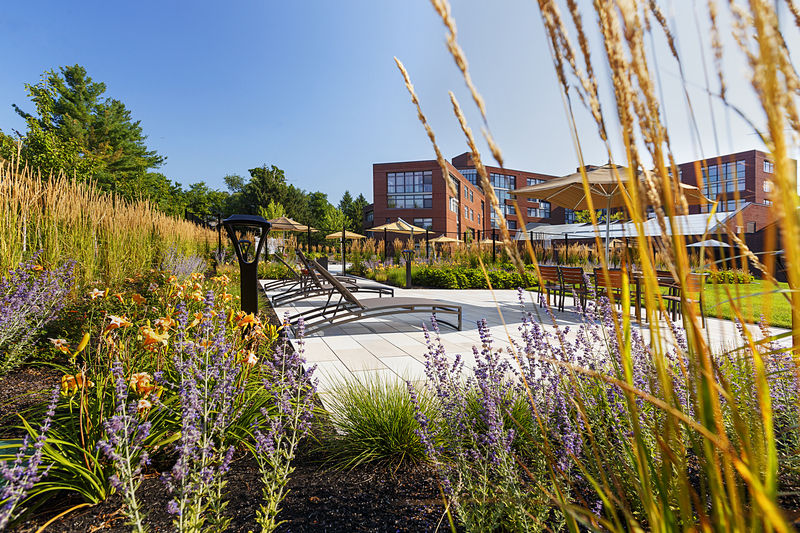 The rest of the pool plaza upgrades focused on providing some buffer planting with some native ornamental trees and shrubs along the edges of the pool property so the experience of being in the space is one of being immersed in nature in an urban setting.